Brazil vs Argentina Lineups: The pre-big match between Brazil vs Argentina takes stage now at Melbourne Cricket Ground. Check the Starting XI of Brazil and Argentina here. As per the analysis of previous head to head matches, Brazil had three wins over Argentina. Two of the matches were ended with the result of the draw in last five. 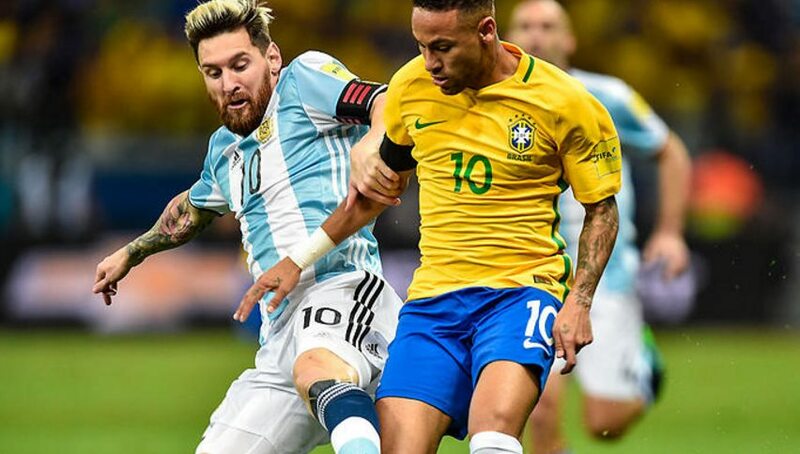 Brazil football team have continuous winning numbers but Argentina struggling to continue with the series of win. Argentina lost their last game against Bolivia in the World Cup Qualifier. Brazil won aginst Paraguay in the last game, it is also the WCQ-CONMEBOL. The Brazil vs Argentina highlights is available here along with the final result score of the match. 31′ – Jonathan Maidana (Argentina) is shown the yellow card. 45′ – Goal! Brazil 0, Argentina 1. 78′ – Paulinho (Brazil) is shown the yellow card for a bad foul. 80′ – Rafinha (Brazil) is shown the yellow card for a bad foul. Stay tuned for the more latest updates around Football game world!